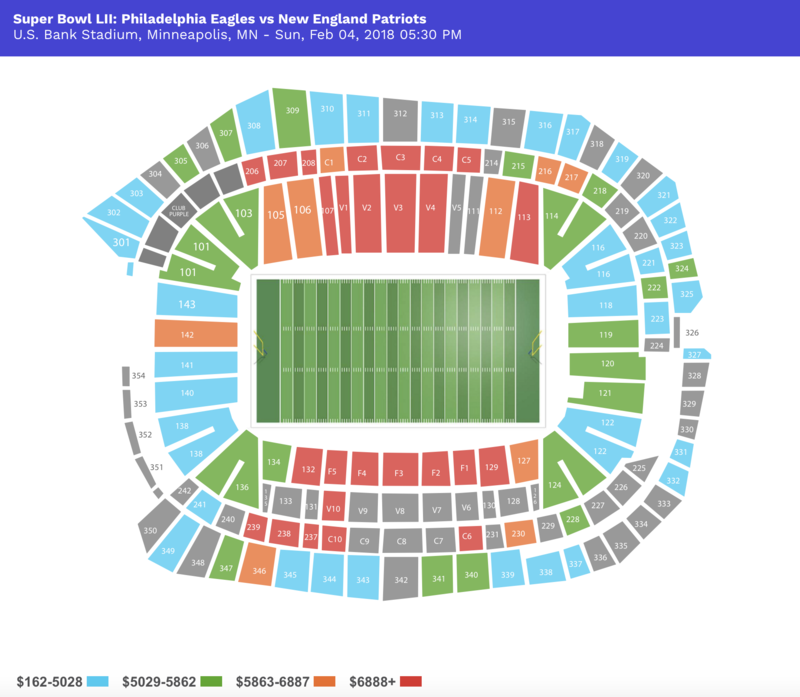 Since 2012, the average price for Cowboys tickets at AT&T stadium on the secondary market have grown considerably, from an average listing price of $241 to $391 this year, which is the fourth most expensive ticket, as measure by average price, in the NFL. 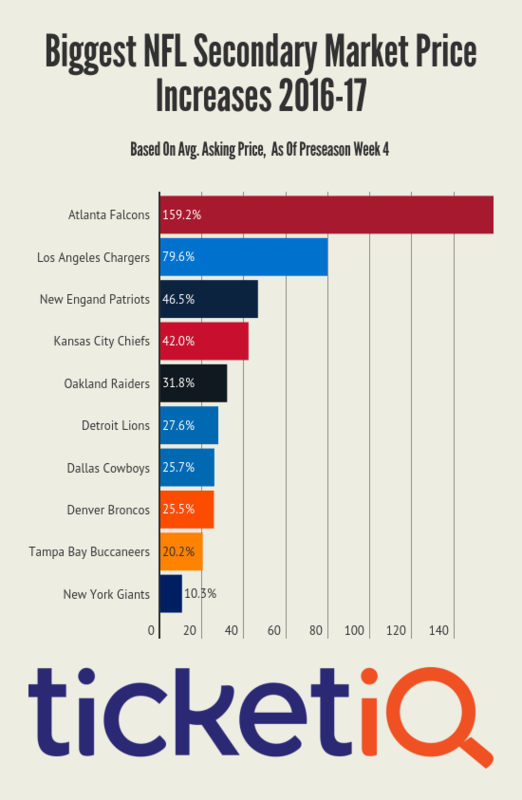 As the below chart shows, for 2017 average prices on the secondary market, the Cowboys trail only the 2017 Super Bowl Champion Patriots, the 2016 Super Bowl Champion Broncos and the almost Super Bowl Champion Falcons, who also move into Mercedes Benz stadium, their new $1.6 billion home. Compared to last year, the average price for Cowboys tickets at home is up 25%. That pales in comparison to the Falcons and Chargers, two teams not accustomed to being atop the leader board when it comes to ticket demand. The Falcons jump of 159% is the result of their new digs as well as a Super Bowl calibre team. As for the Chargers, their 79.6% increase is being driven more by supply than demand. The Chargers average price of $282 is the result of the 30,000 seating capacity at the StubHub Center, their temporary home. Last season the Chargers had an average price of $157 at he 70,000-person Qualcomm Stadium. The Cowboys have the 7th largest annual price increase, as the below chart shows.